How To Mold eva Foam? Every mold eva foam need a mold, so we need to set up a mold first. Set up an eva mold based on design file, device, or finished EVA Foam sample. Measure the eva mold size, length, width and depth, and then cut the eva foam based on the size. Heat the eva foam in a special Oven, need to set up the heat temperature and time first! 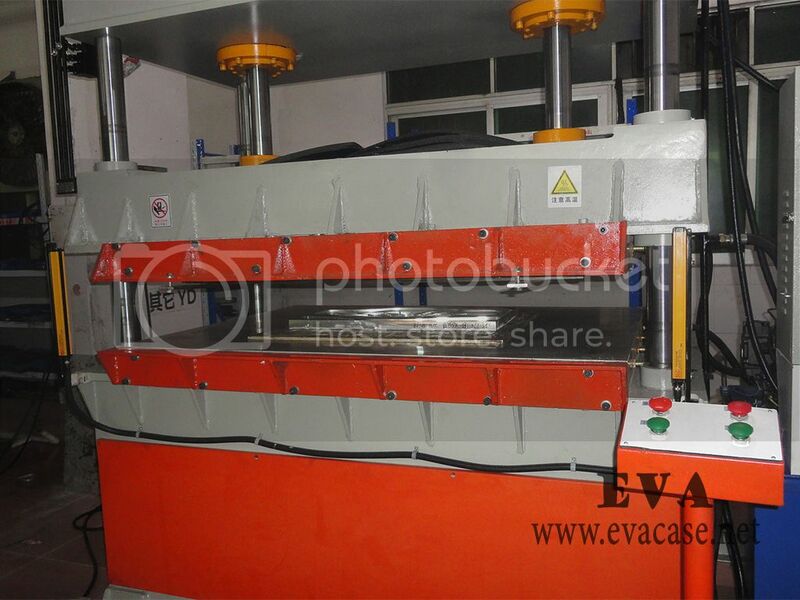 Heat compression, install the eva mold on heat compression machine, and adjust the position of EVA mold, then set the heat compression time, temperature and pressure. After heat compression, we need to put the eva foam on shelf, and let it cool automatically. Die cut the edge of the eva foam with a custom made die cutting mold. Then the perfect molded eva foam yield. Tips: sometimes need to adjust the mold again and again, since there are many problems while do heat compression EVA foam. You could contact Dongguan EVA Case Manufacturer if you face these problems.